More and more members of the general public are becoming familiar with the idea that "cancer" is not one disease, but rather a word used to describe numerous diseases with countless underlying causes. Now, researchers have discovered a single gene that promotes one form of cancer when it's turned on, and another when it's turned off. Their discovery not only provides a clear example of how unique the genetic basis of individual cancers can be, but how different cancers' treatments will likely require different, personalized approaches. The discovery was made by a team of researchers from Cleveland Clinic's Lerner Research Institute, led by Charis Eng, MD, PhD. 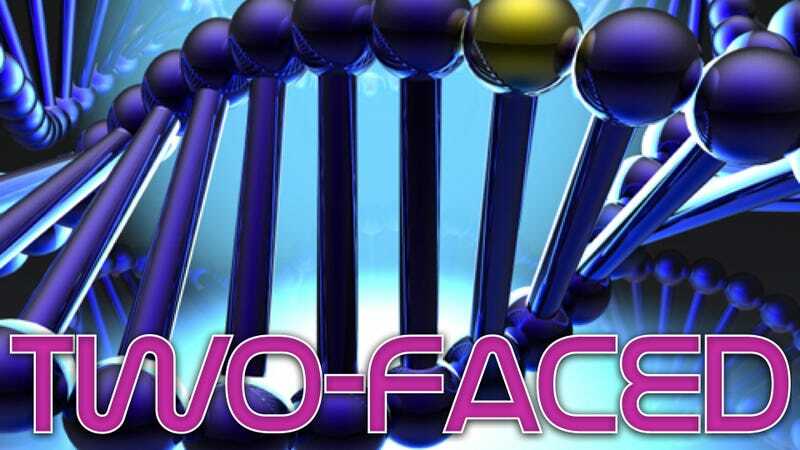 The study revolved around the "two-faced" effects of a single gene on prostate cancer and breast cancer—what Eng and her colleagues identify as the two most common malignancies in the western world. The gene in question is called androgen receptor (AR), and while it's found in both breast and prostate cancers, it has opposite effects on each disease; in prostate cancer, expression of the AR gene drives cancer growth forward, while in breast cancer, it's the lack of AR that is thought to promote metastasis. According to the researchers, their discovery helps explain why breast cancers tend to develop after menopause (when AR production drops off in women), and why one of the most common therapies for prostate cancer involves blocking AR. The team's discovery is an important one in the emerging field of personalized medicine. "Up until now," Eng told io9, "it is very unusual that there is this (shall we say) two-faced effect." "I rarely dare claim to be the first in science or medicine," she continued, "[but] this may be one of the firsts." While some people see findings like those involving AR and wonder how a foe as multifarious as "cancer" could ever be conquered, researchers like Eng—who is also Chair of the Genomic Medicine Institute — interpret discoveries like these with optimism. After all, the fact that cancers are different implies that they can be treated specifically and effectively. You can imagine [how knowing] a breast cancer has low AR levels (portending an aggressive cancer with poor outcome) may lead the future clinician to give back AR and change the clinical outcome.